Affordable Divorce Lawyers in Southern California, California domestic violence laws, domestic violence, domestic violence Restraining Order lawyer advice, Emergency Protective Order, Family Law Attorneys in Orange County for Domestic Violence restraining orders, OC Temporary Restraining Order attorneys, OC Temporary Restraining Order lawyers, Orange County Restraining Order Attorney, Orange County Restraining Order Lawyer, Orange County TRO attorney, Orange County TRO attorneys, Orange County TRO lawyer, Orange County TRO lawyers, permanent restraining order, request a domestic violence restraining order, Stay-Away order - Criminal Protective Order, Temporary Restraining Order attorneys, Temporary Restraining Order lawyers, Types of Domestic Violence Restraining Orders in California?, What are the Types of Domestic Violence Restraining Orders, What is a Domestic Violence Restraining Order? 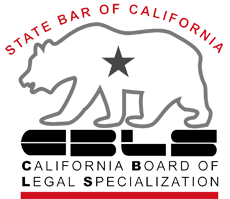 Basics of Orders of Protection in California, Can the court fees be waived, Can the court fees be waived for a restraining order?, domestic violence, Expert restraining orders & protective orders attorneys in Orange County, How do I prepare to defend myself against the civil harassment order I am facing?, How do I respond to the civil restraining order in California?, How do I serve the forms to the restrained person?, I was served with a civil harassment restraining oder, now what do I do?, Orange County Restraining Order Attorney, Orange County Restraining Order Attorneys﻿​ in Orange, Permanent Protective Order, restraining order process Los Angeles, restraining order process Orange County, Types of Civil Harassment Restraining Orders, Types of Harassment Restraining Orders, What can I do if the restrained person does not follow the restraining orders?, what is the restraining order process in California, What limits will the restraining order place on me?, What will the judge consider as evidence in my civil harassment case? Should I defend myself if charged with domestic violence in Orange County California? Basics of Orders of Protection in California, domestic violence, Emergency Protective Order, Kinds of Protective Orders, oc domestic violence lawyer, orange county domestic abuse attorney orange county domesitc violence defense attorneys, Orange County Domestic Violence Attorney, Orange County Domestic Violence Attorneys, orange county domestic violence defense lawyer, Permanent Protective Order, Searching to find an exceptional Orange County Domestic Violence Lawyer, temporary restraining order, What Does a Protective Order Do?, what is domestic violence, What to do if You Are Accused of Domestic Violence in OC California?